petition: Give She-wolf Goldie and her pack a voice! Give She-wolf Goldie and her pack a voice! Sentenced to death!! This is Goldie. 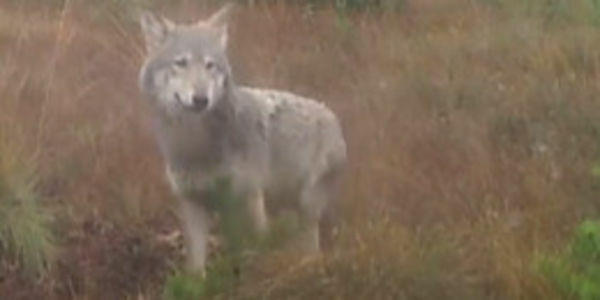 This amazing and beautiful she-wolf has lived in the area near Barnstorf Germany since 2014. She is originally from the Gartower pack, about 200 km to the east. In 2015 she found a partner. The male comes from the Ueckermunder pack, close to the Polish border. This male has therefore traveled more than 400 km to establish a pack at Barnstorf with Goldie. Last year they had four beautiful cubs and started a pack (see previous videos from my timeline). The city council of Goldenstedt unanimously adopted a resolution that the Lower Saxony government is demanding to immediately kill the entire Barnstorf pack. The reasoning was that they would kill too many cattle and they could become dangerous. For three years people have had time to make their fences and livestock pens wolf-resistant. Nothing was done and now they want to kill the whole pack. We can not let this happen. Not only does this go against the EU regulations, ethically it goes against our community norms and our appreciation of wildlife! Please share this video, and show everyone the amazing beauty of Goldie and her pack. Please be their voice! Don't let their howls go silent!